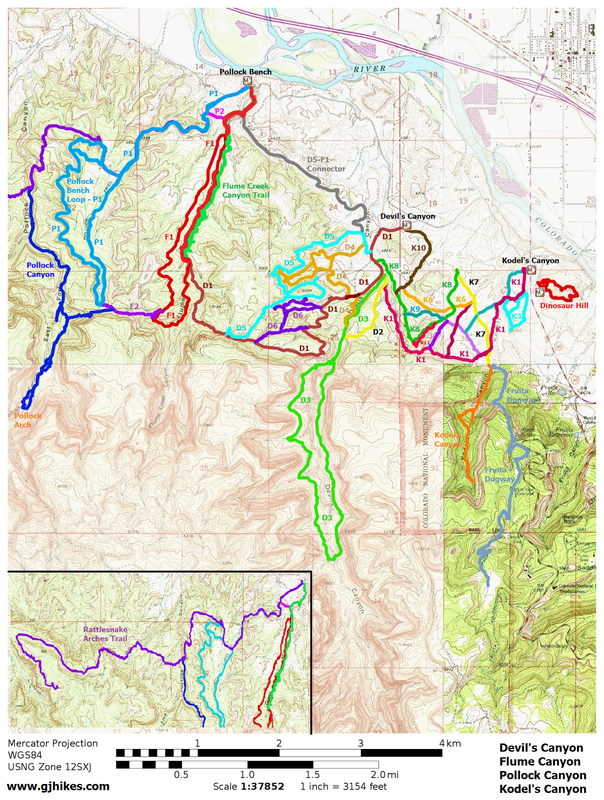 The K12 trail is located in the Kodel's Canyon Area of the McInnis Canyons National Conservation Area near Grand Junction, Colorado. The short quarter mile trail follows a scenic wash between the K1 and K4 trails. The trail is commonly hiked in conjunction with other trails in the vicinity to create fun new routes to explore. Even though the trail is only a quarter mile in length it will require at least 3 miles of hiking to get to from either the Kodel's Canyon or Devil's Canyon trailheads. This post begins at the lower end of the K12 trail where it connects to the K4. 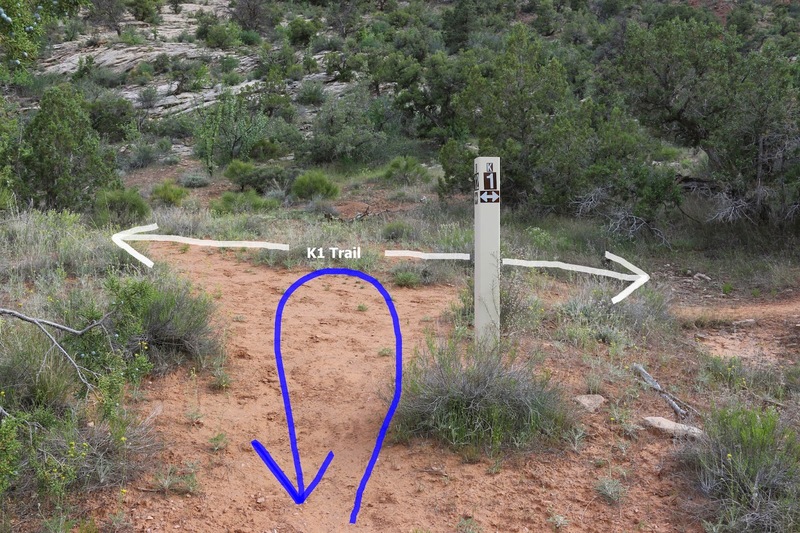 Route finding is easy as the K12 trail follows the wash lined with oakbrush, mormon tea and junipers. The nearby sandstone cliffs provide pleasing scenes to enjoy along the short trail. As the trail progresses the draw gets a little deeper and the cliffs get a lot higher. The K11 trail travels along the slickrock rim of the cliff on the west side of the trail. The trail ends with a short uphill climb to the K1 trail which is following a section of the Old Ute Indian trail at this point. Following the K1 trail to the left from here would lead back to the trailhead passing junctions with the K5, K4 and K7 trails enroute. Going to the right there aren't any other trails until the K1 comes to an end at the D2 trail in the Devil's Canyon Area. For this post we turned around at this junction and retraced our steps back to the K4 trail. Many of the trails in the Kodel's Canyon Area are relatively short hikes by themselves. The various trails cover enough of the area that it can all be explored without hiking off trail. Side washes and areas of slickrock and boulders can also be explored without braiding the current routes with confusing side trails if hikers take care and put a little thought in doing so. 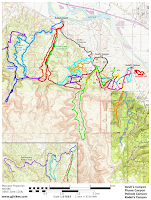 For those that aren't familiar with all the trails and how each of them connect we suggest printing the map on the right and taking it with you. And if you are hiking in the area we are sure you will enjoy the K12 trail. If you would like to see it for yourself then all you have to do is 'Take a hike'.